I began my athletics career at a young age as a competitive gymnast, where I had the amazing opportunity to travel the world and represent Canada at several World Championships and Commonwealth Games. 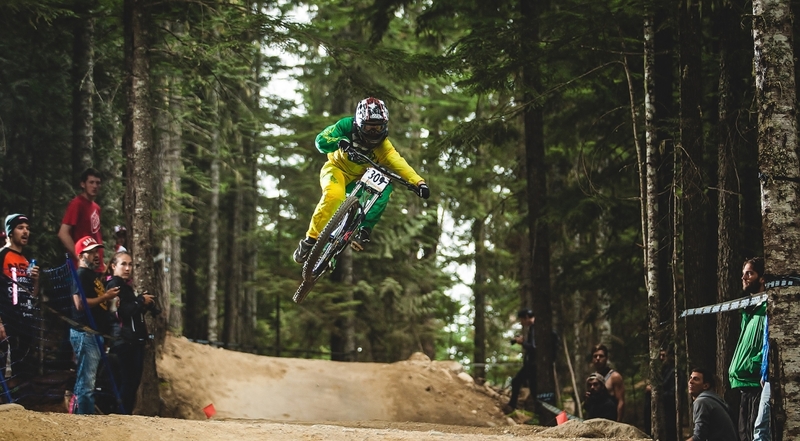 After graduating from University, on a full NCAA Gymnastics Scholarship, I made my way to Whistler, BC where I was introduced to the world of mountain biking. I immediately fell in love with the sport and the adventures that came with it. 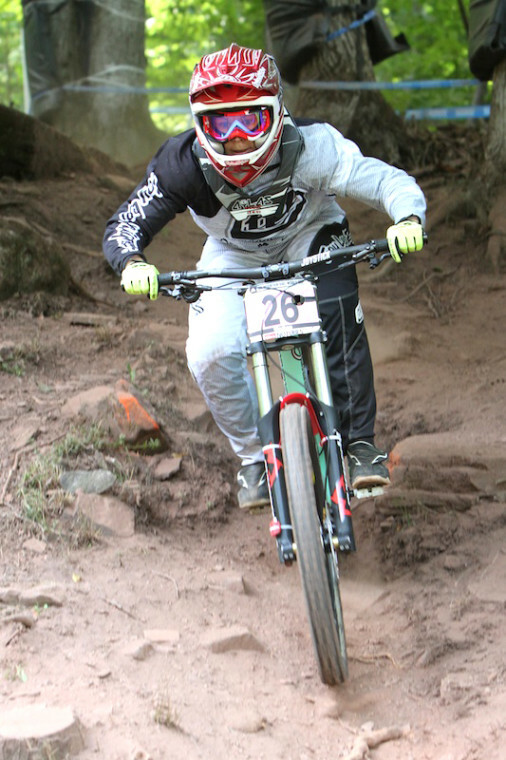 With competition deeply rooted in my blood and an eagerness to explore new terrain and pit myself against the clock, I began racing Downhill just a few short years after being introduced to the sport. I have found a freedom and thrill with mountain biking that is unmatched to any other sport I’ve tried! The adrenaline of pushing past your limits and exploring new terrain all over the world is what continues to drive my passion. 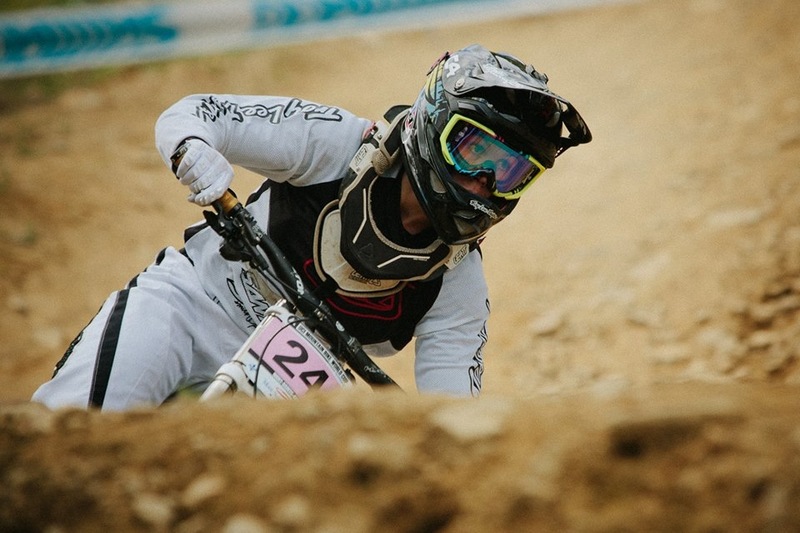 Over the past few years I’ve had the chance to race with the world’s top female riders on the DH World Cup Circuit, obtaining consistent top 20 results. 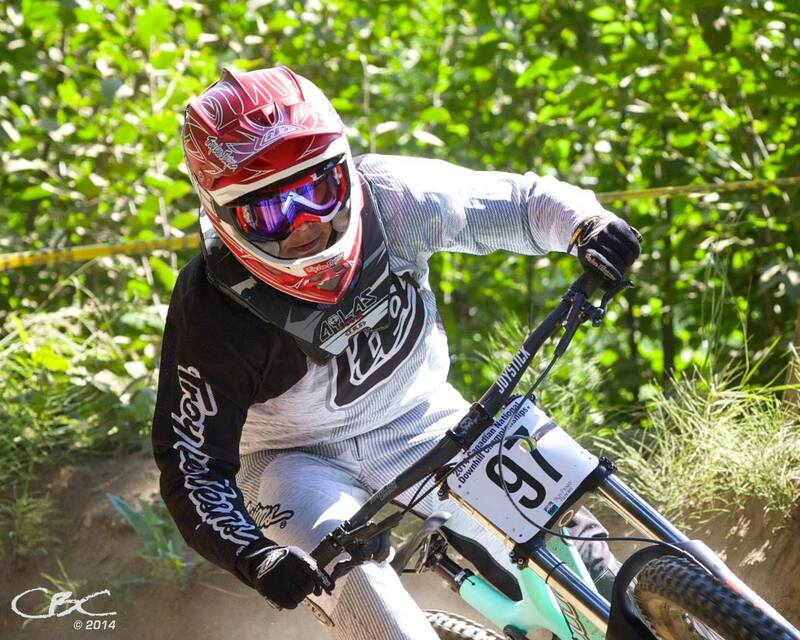 This year I raced to a top 3 finish at the Canadian National DH Championships and I plan to keep the momentum going into next season! 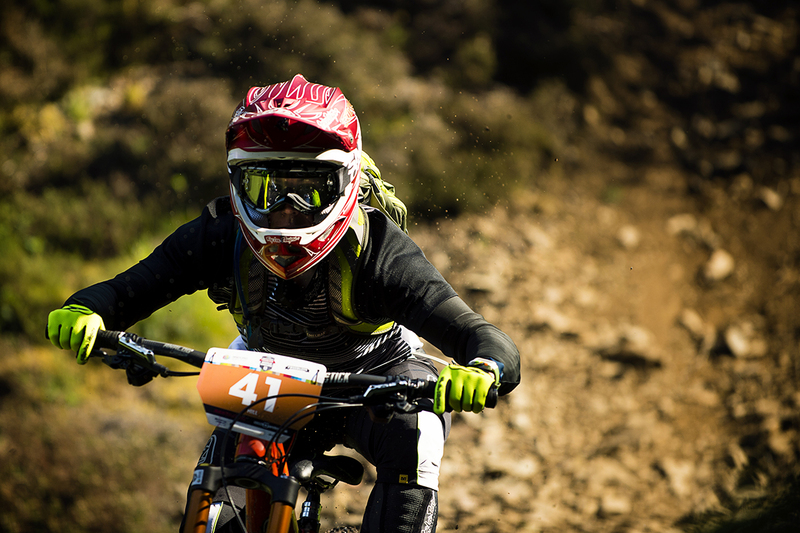 This year I was also fortunate enough to venture into the world of Enduro Racing and look forward to more of this style of racing in the future. 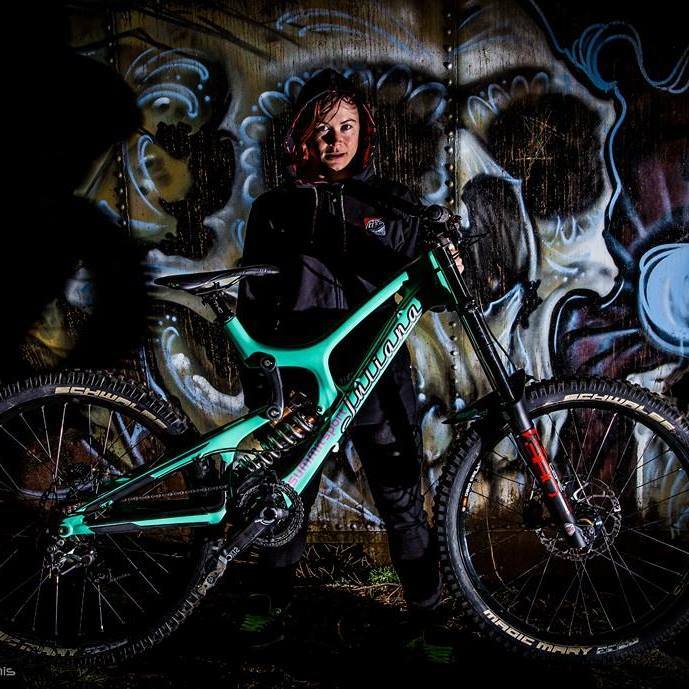 Recently, I have been working on starting an All women’s UCI World Cup Downhill Team for the 2015 season and can’t wait to get things off the ground! When I’m not racing, life is pretty busy – On top of riding I am also pursuing a professional accounting designation, working, coaching, training and simply finding adventure wherever life takes me! I hope to showcase the passion and adventure that come along with racing and riding, and how riding can have such a positive impact on women! 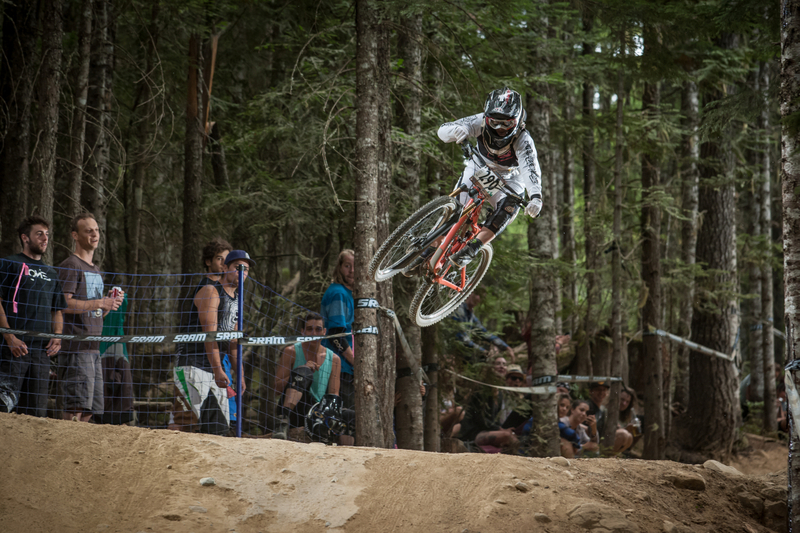 I am striving for top 10 results on a World Cup level and aim at representing Canada at the DH World Championships. 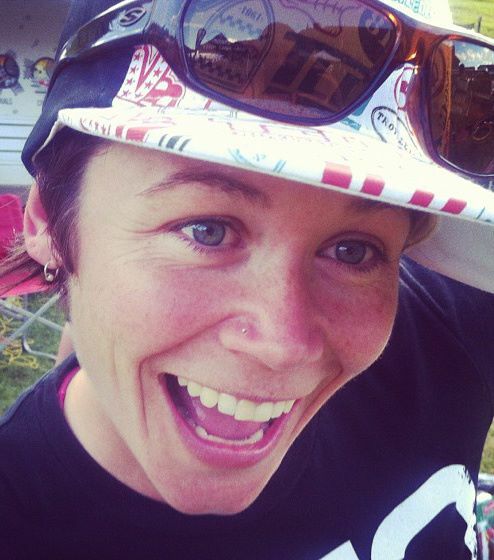 Introducing more women to mountain biking and helping them achieve their riding and racing goals. Capturing my first podium finish on the World Cup Circuit. 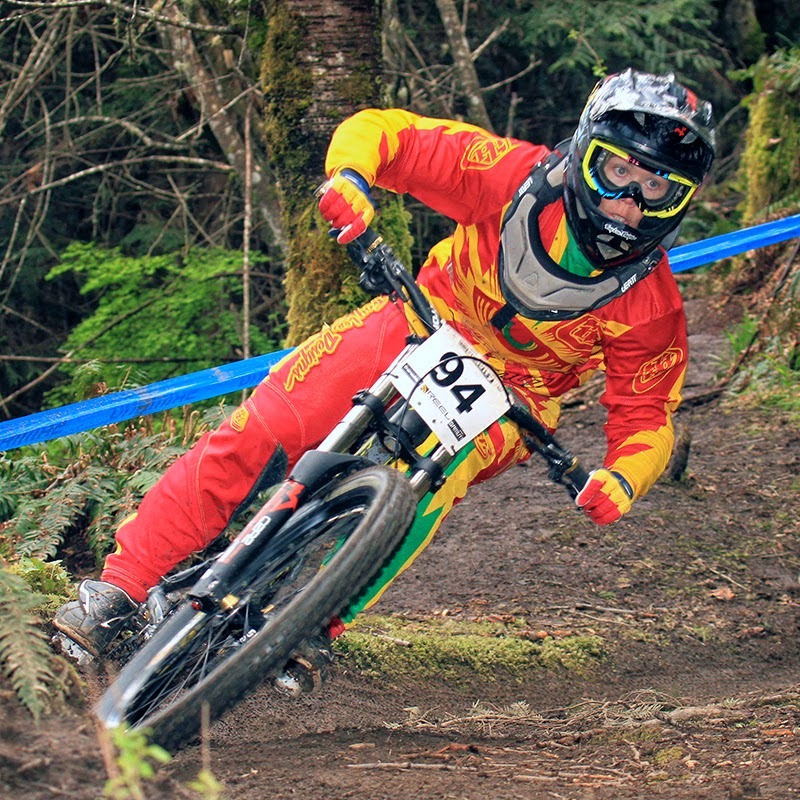 Starting an all Women’s UCI World Cup DH team for the 2015 season and beyond! Being a “privateer” can be challenging when travelling to race in other countries and unfamiliar venues. There is a large financial burden associated with travelling and competing abroad and technical race support is difficult to obtain. While I have been fortunate enough to have many amazing product sponsors to help with this burden, there are still many hurdles to overcome. It is all part of the journey though and many athletes in other sports face the same hurdles. 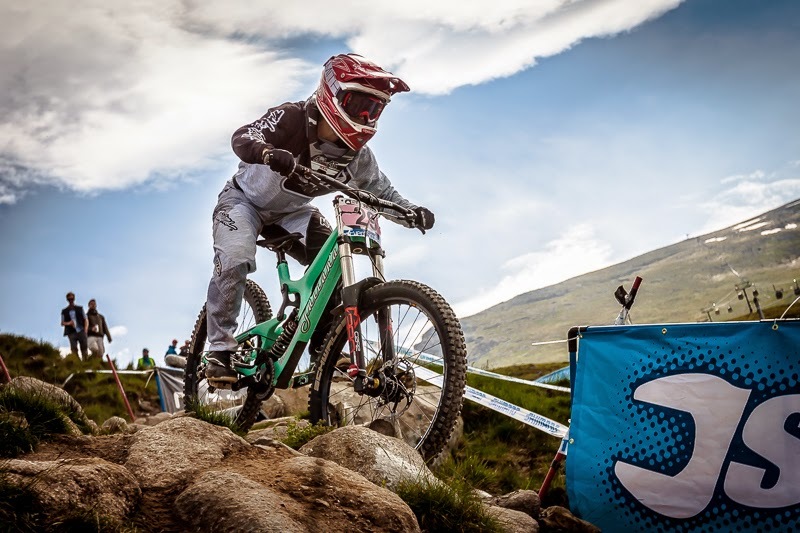 Down Hill and Enduro Mountain bike racing are not Olympic sports, so there is little funding available – Perhaps as both sports grown, this will change. The amazing adventures you can have, powered by your own legs – My bike takes me to some sweet places! 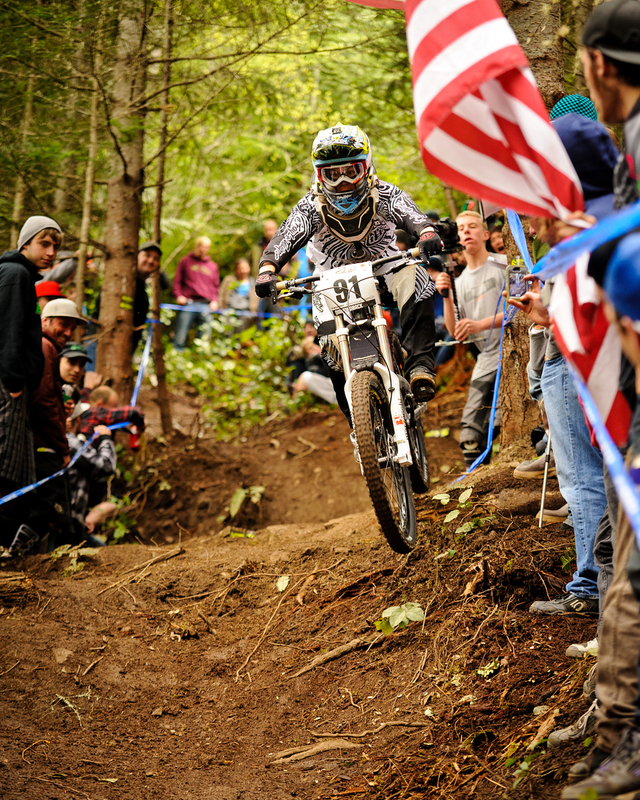 DH racing is arguably one of the most exciting forms of competitive cycling! One chance for “Glory” – It can provide some of the greatest highs! 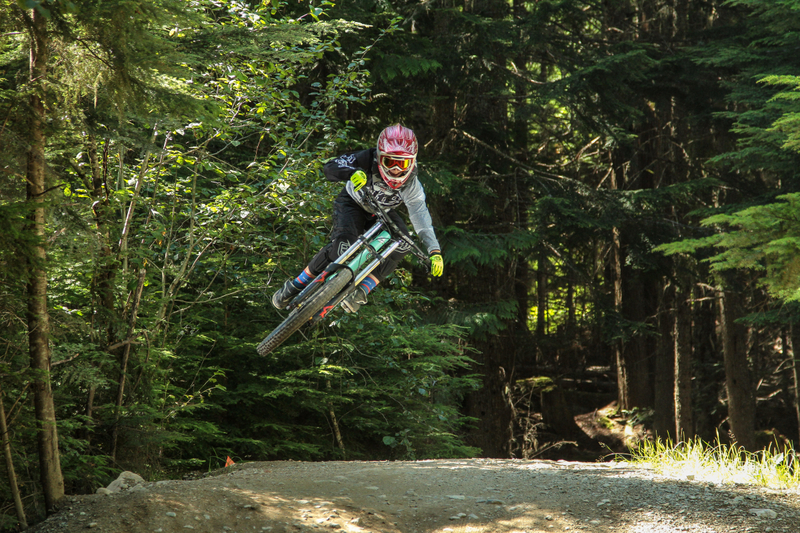 The thrill and adrenaline of riding a new trail, or hitting a new jump or feature you never thought you would! 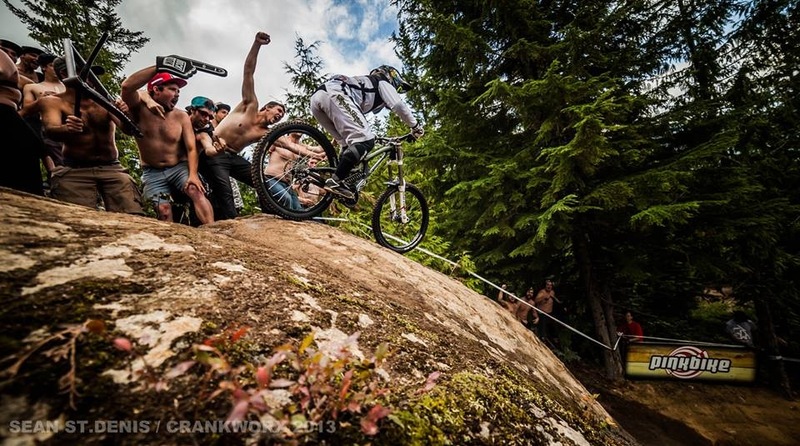 The emerging discipline of Enduro racing also melds excitement with adventure and insane fitness requirements! 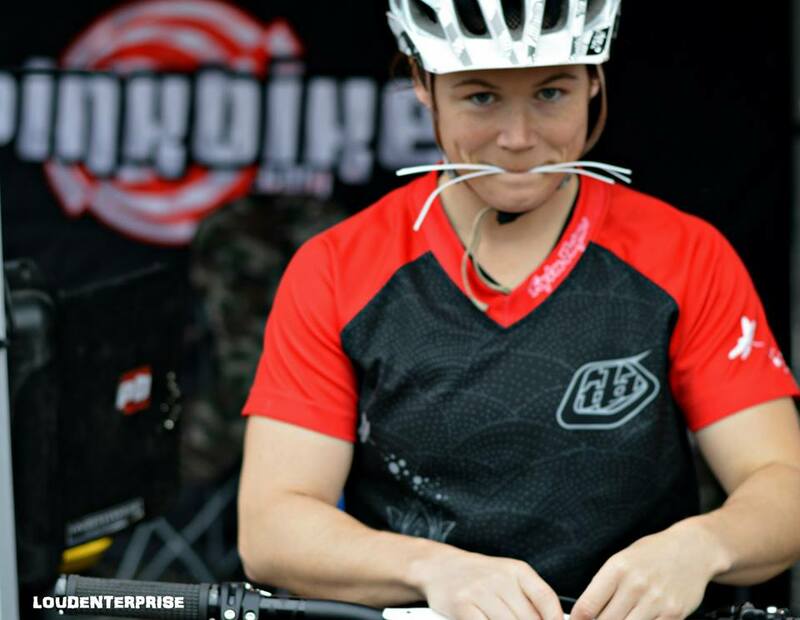 Being a role model for other female riders! Where do you practice when alone? In the Whistler Mountain Bike Park. Local trails in the “Sea to Sky Corridor” – spanning from trails in my own backyard of Pemberton, BC all the way to Squamish, BC and North Vancouver. Local pump track, and dirt jumps. Being focused and dedicated but also remembering that riding and training if FUN! In the off-season I have a detailed weight lifting and cardio program consisting of 3 days of weight training and 3 days of cardio training. Yoga is also an important part of my training to keep the body limber and free of injuries. XC and all-mountain rides are a huge component to my training regimen as well as regular sessions with a riding coach and time spent at the pump track. Riding with other accomplished riders is also a great tool to improving speed, line selection and technique. Probably when conditions have changed drastically from practice to race time – With more experience though, this seems to get easier! If I have had a bad crash in practice it makes dropping into to my race run a bit more nerve wracking – depending on the severity, it can sometimes be hard to remove this from the back of your mind. My husband is probably my biggest fan…he was the one who first got me into riding and I know he is pretty stoked with how far I’ve come! What was the best advice you were even given? Visualize success and success will follow. Always find the “silver lining” to a bad situation. 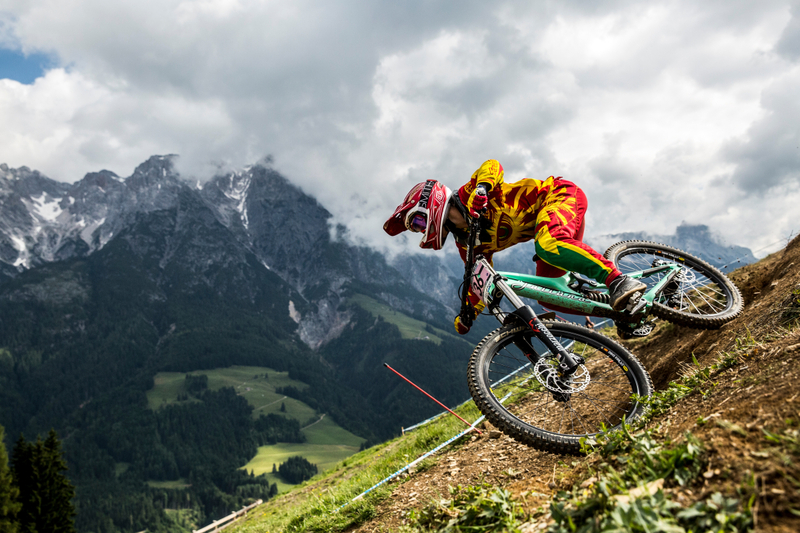 Create a successful All Women’s UCI world Cup DH Team for the 2015 season and obtain a top 10 result. Represent Canada at the 2015 World Champs! Increase involvement with community coaching especially as it relates to introducing mountain biking and racing to women. What are your suggestions for those beginning now? Have fun with it and be prepared for lots of ups and downs!